Limited numbers: 40 places only for this workshop. Prior to the commencement of the workshop you will be provided with a Talent Dynamics profile to establish a basis for your future personal development. Talent Dynamics is a unique profiling system that assists you to understand your natural talent, strengths and challenges, success possibilities, how to work best in teams and in your workplace. Karen Bonanno has over 35 years’ experience working in government and non-government schools as a secondary teacher, teacher librarian, head of department, acting deputy principal, regional advisor, education officer and education consultant. For 12 years she was the Chief Executive Officer of the Australian School Library Association and has also held executive positions at state, national and international level in teacher librarian professional associations. 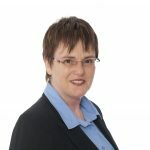 Karen is also an accredited Flow Consultant in Talent Dynamics, a Performance Consultant in Talent Dynamics for Young People, and an accredited Ignition! Trainer. She has used her Creator profile to evolve professionally in business as an education consultant and webinar provider of professional learning. What’s included: Talent Dynamics profile (30+ page report), presentation handout, certificate of attendance, and lifetime access to the Teachers with Purpose online portal & community. Also, tea/coffeee on arrival, morning & afternoon tea and lunch. Register now so you don’t miss out on this unique workshop. If you prefer to pay via a tax invoice, please download the registration form, complete and return the completed form with payment (Cheque or EFT). This is a Teacher Identified Professional Learning Event. Completing Teachers with Purpose may address the following Australian Professional Standards for Teachers.